After a late lunch at Neptune Oyster (or was it an early dinner? ), we weren't exactly hungry until later that evening. I wonder why we don't call it dunch or linner? I digress. Anyways, being late, we weren't in the mood for traveling far for food. Since we had a steady diet of lobster rolls, clam chowder and burgers for the past few days, it was imperative we changed things up as well. Being located next to Chinatown, it seemed like a good idea to go for some comfort food (because we are Chinese!) nearby. 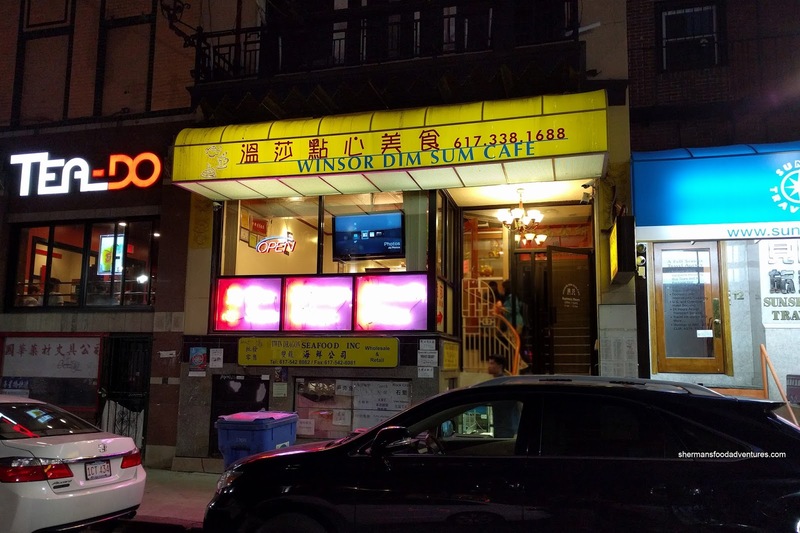 How about Dim Sum for dinner at Winsor? Yes, being from Vancouver, there was a good chance that we wouldn't be impressed, but we had reasonable expectations. We were actually surprised by the selection considering we were having Dim Sum for dinner. On the topic of comfort food, we got the Preserved Egg and Salted Pork Congee to begin. I found the broth to be decently thick and cooked down while lightly salted. However, there was barely any ingredients to be found. I've never seen preserved egg sliced so thin in my life! As for the pork, it was lean while tender at the same time. 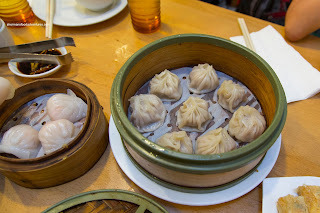 Next up was the Xiao Long Bao which were serviceable with all things considered. The dumpling skin was relatively thin except for the top which was not dense either. 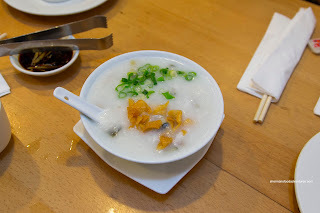 Inside, there was a decent amount of soup which was mostly one-note being sweet. The meat was pretty loose and lacking in texture. 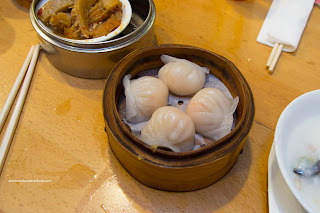 Looking legit, yet ultimately being rather average, the Ha Gau (shrimp dumplings) featured thick dumpling skin that was doughy and slightly chewy. I found the filling to be texturally okay with a meaty snap while being buttery. However, the flavor was a bit too shrimpy for my tastes. It was quite overwhelming. 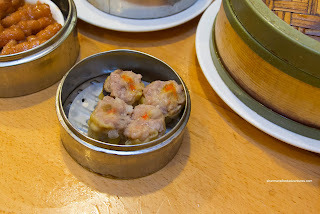 As for the Siu Mai (pork & shrimp dumpling), the textures were a little off. The chunks of pork were soft and missing the desired rebound texture. There was also very little shrimp to be found. However, flavours were okay though being balanced with the taste of shiitake. 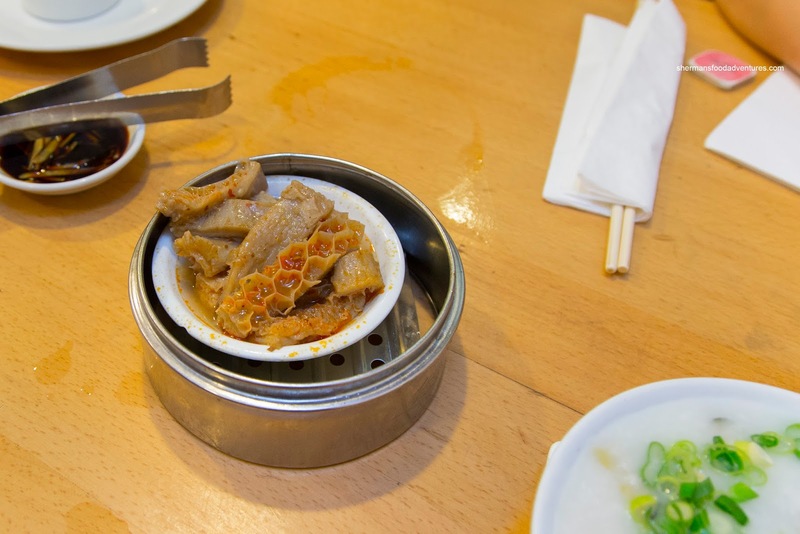 For my offal fix, I ordered the Honeycomb Tripe sitting atop fried tofu. This was a very modest portion sporting strips of bounce textured tripe that rode the fine line between chewy and soft. There was a slight gaminess, but the ample Szechuan-type seasoning helped masked it. Therefore, the dish ate on the spicier side of things. Seemingly not fried enough, the plump Phoenix Talons (chicken feet) featured soft skin and tender cartilage and fat. 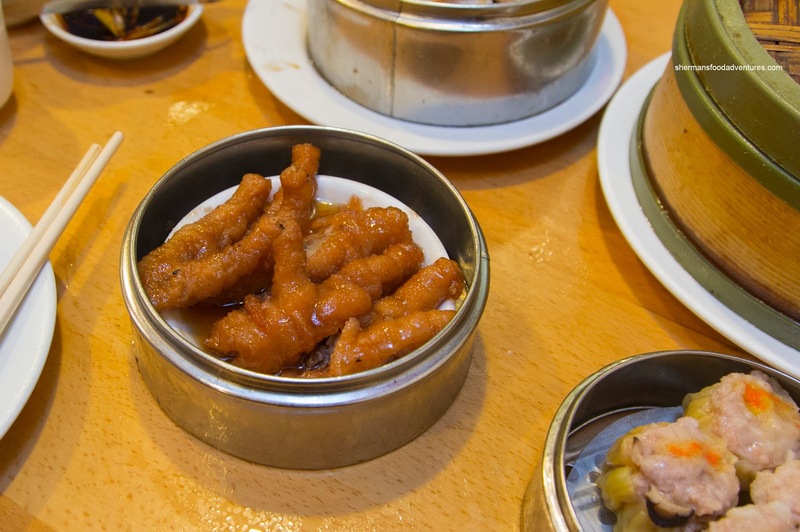 Other than that, I enjoyed the overall texture of the chicken feet as well as the balanced seasoning (could've used more garlic though). We got the Steamed Black Bean Spareribs atop rice noodles because we knew the kiddies love rice noodles. Yes, this was a hit with them as they dusted it off. Not sure if the flavors actually penetrated the noodles, but they were soft while still having an elasticity. I found the ribs to be tender with a nice rebound. They were well-seasoned with noticeable garlic and black bean hits. We decided to try the Fried Shrimp Bean Curd Skin Rolls in an attempt to see if my son would eat it. Nope, there was too much cilantro for him and really, for me too. The piece of celery inside was rather strange as it didn't seem to go. As for the shrimp, there was nice bounce to it as well as being sweet. 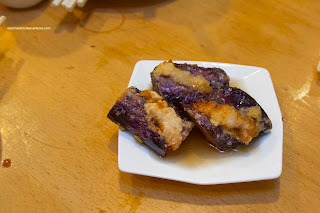 Our last dish was the Shrimp Mousse Stuffed Eggplant which were served piping hot. We found that the oil was not drained properly from the deep-fry and made the dish really greasy. We were also not sure of what type of sauce was on the plate. The eggplant was nicely textured though being soft without disintegrating. 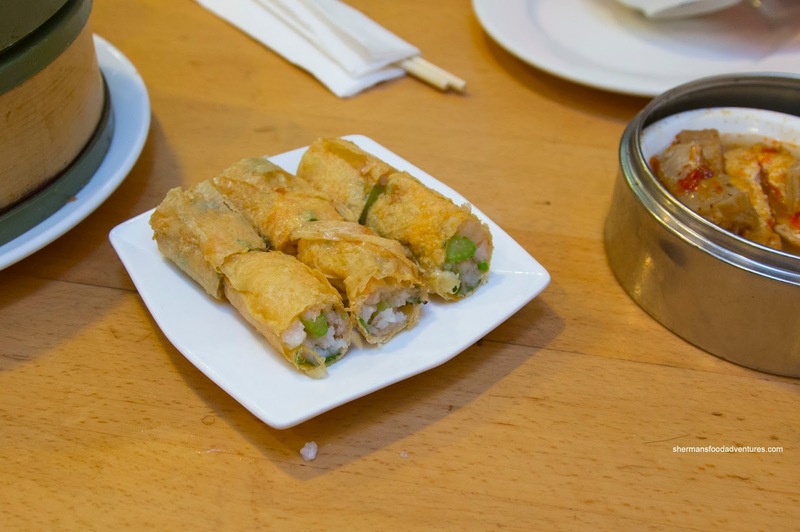 Like the bean curd skin rolls, the shrimp mousse was on point. 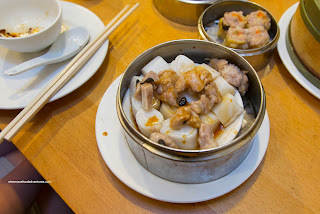 Overall, the Dim Sum at Winsor was serviceable with all things considered. Would it ever be confused with great Dim Sum? Of course not, but we already knew that going in.